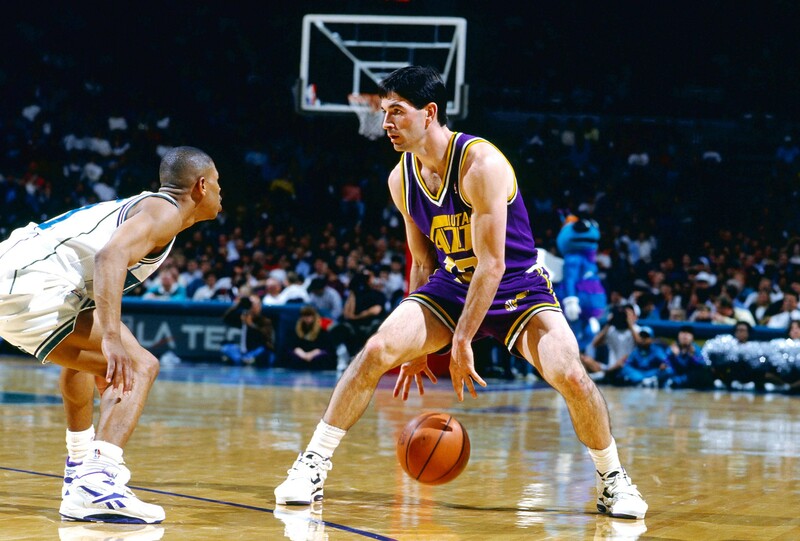 These shorts are baggier than Stockton typically wore during his Hall of Fame NBA career. Ah, lists. You gotta love 'em. We media folks sure do, because they're designed to get people yapping around the ol' water cooler — or on social media, if you were born after 1970 — and sparking discussion is always a goal for us. With that in mind, there's no reason to get too riled up about ESPN's new list ranking the all-time best point guards. The sports network conducted a poll of "experts" to divvy up the 150 greatest NBA players of all time, and when they broke that list down further into positions, Spokane's own John Stockton found himself at No. 3 among point guards. Now, being the third-best-ever at anything is pretty awesome, but you could certainly argue that the diminutive Gonzaga alum know for his stellar passing, tough-as-nails defensive presence and oh-so-tight shorts should be even higher on the list. After all, he IS the all-time assist leader in NBA history, by more than 3,000 dimes, and assists ARE what playing point guard is all about. At least, it used to be before the Allen Iversons and Steph Currys of the world helped turned the position into a score-first one. Oh, Stockton is also the all-time NBA leader in steals, too, roughly 600 past No. 2 Jason Kidd and 700 past some dude named Michael Jordan. Hell, Gary "The Glove" Payton even said Stockton was harder to cover than Jordan. But it's hard to argue with Magic Johnson topping the point-guard list, given his NBA titles. And Oscar Robertson DID average a good 12 points a game more than Stockton in his career.